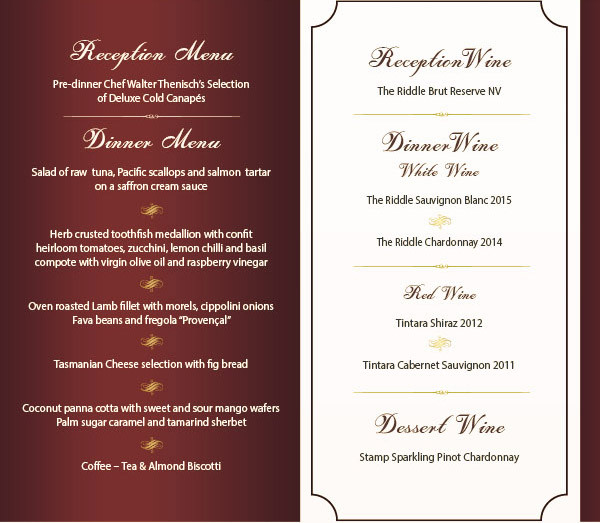 Our upcoming wine dinner, "An Epicurean Delight with Hardys Wines" will feature delectable food and wine pairings that will surely delight every palate. 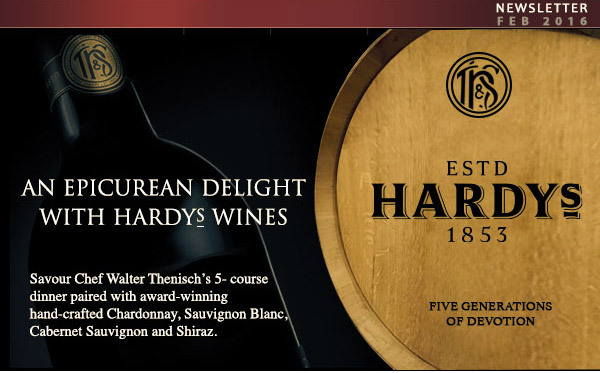 Wine lovers will have the opportunity to partake in excellent international cuisine along with the vibrant essence of Hardys wines. The evening will commence with a cocktail reception at The Bar of the Royal Cliff Beach Hotel at 18:30 hrs and dinner will be served at the Royal Grill Room & Wine Cellar at 19:15 hrs. Hardys was founded in 1853 by Thomas Hardy. Throughout their 160 years of winemaking history, it has built a tradition of great endeavour in winemaking. A succession of winemakers have followed in the footsteps of their founder, Thomas Hardy, whose vision was ‘to produce wines which will be prized in the markets of the world’ by showing outstanding innovation and resourcefulness, directed at making wines of quality and character. It is also recognized internationally since 1882 as the first Australian wine to be awarded the prestigious Gold medal at the International Wine Show in Bordeaux. Mrs. Fiona Darby, responsible for the sales and marketing of Accolade Wines global wine portfolio throughout Singapore, Malaysia and Indonesia, will be our wine specialist for the evening. Fiona is a dynamic Sales and Customer Service professional with 9 years experience in the wine industry with extensive national and international sales and management experience across On Premise, General Trade and chains channels. She has met many winemakers and has developed knowledge in the art of winemaking as she travels abroad to share her passion for wine with the world. 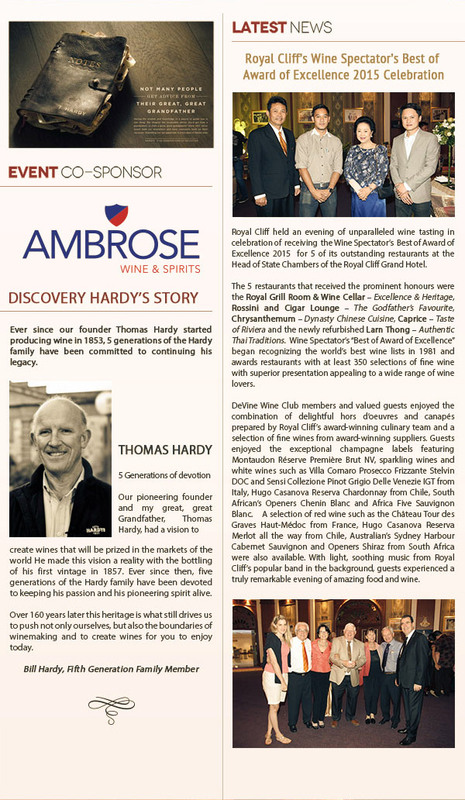 Once again, we are pleased to host this treasured culinary event which provides the great opportunity to all our valued members to experience the quality and richness of the famous Hardys Wines.